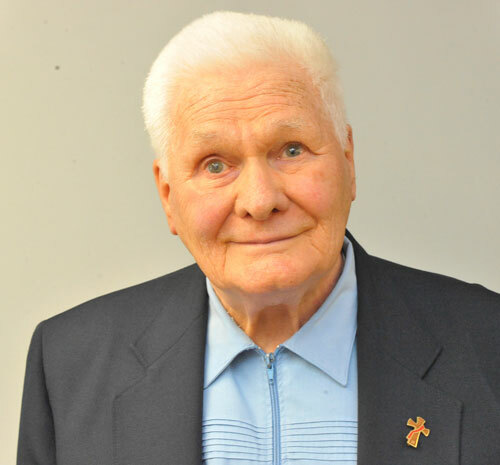 A Mass of Christian Burial for Deacon Henry J. Smith was celebrated July 18 at Our Lady of the Snows Church, North Floral Park. He was 90 years old at the time of his death on July 14 at Long Island Jewish Medical Center. Auxiliary Bishop Raymond Chappetto was the main celebrant and homilist at the funeral Mass. He was ordained as a deacon on March 31, 1984. Deacon Smith was involved for over 33 years at Our Lady of the Snows. He brought Communion to hospitals, prepared recipients for baptisms, ran a nocturnal adoration so people could pray at night in front of the Blessed Sacrament, and he ministered to divorced Catholics of the parish. Fellow Deacon Matthew Oellinger knew him for over 20 years. “He lived for the Eucharist. He was at the first Mass of the day everyday. You could tell time based on him,” said Deacon Oellinger. “Hank and his wife, Pat, always held hands, even later in life, and they were always such a beautiful couple. He is survived by his wife, Patricia and their daughter, Marybeth Gonzales. Burial was at St. Charles Cemetery in Farmingdale, L.I.